Consider me a fan for life now that I've paid more attention to their offerings for kids. While the assortment is limited, Anthro's concept of presents children will love is spot on. No Crayola colored madness here. No blinking lights or battery-operated nonsense. 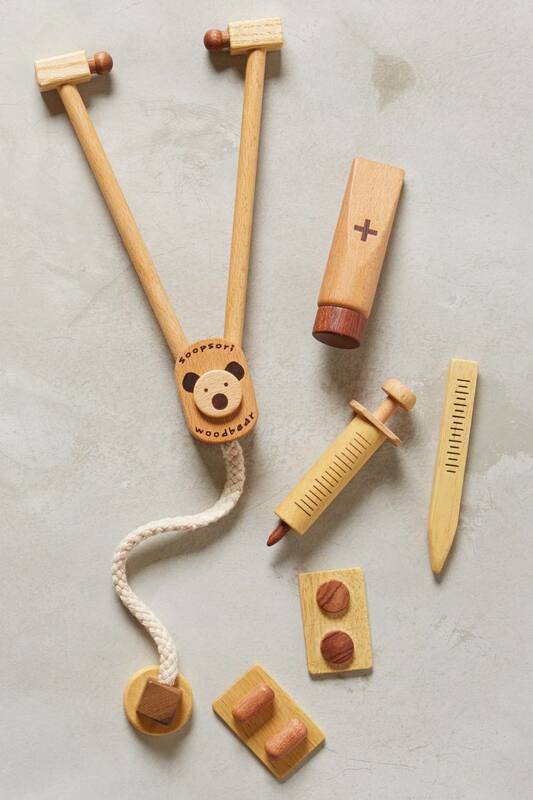 Think: hand-crafted play things that inspire creativity in kids of all ages. I want one of everything. Seriously. They've done such a marvelous job this year curating fun books, pretty plush animals and well-made toys that will spark any child's imagination. I can't wait to see their faces when they open my favorites! See them all here.